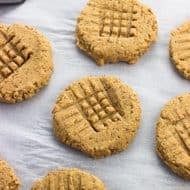 Making homemade break and bake cookies is super simple! 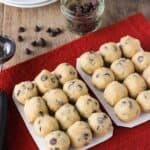 A classic chocolate chip cookie recipe is fashioned into ready-to-make cookie dough balls that can be made immediately, after spending time in the fridge, or even straight from the freezer. 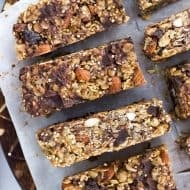 These would be a great holiday food gift! 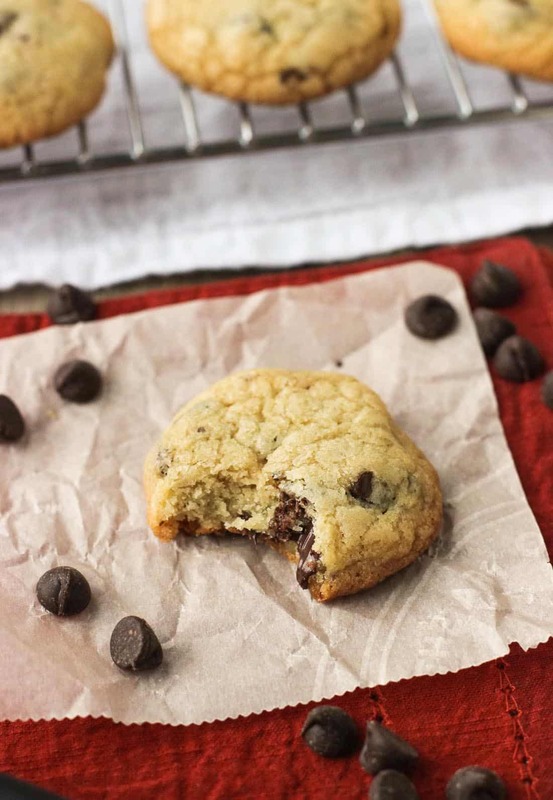 Today is a good day because we’re talking about making your own homemade break and bake cookies! You know the ones. They’re those ready-to-bake cookie dough squares all pressed together that are found in the refrigerated section of the grocery store. Can cookie making be any simpler? Preheat the oven, plop as few or as many cookie dough squares on a baking sheet as you like, and set the timer. Cookies in a snap! With the flurry of the holidays quickly approaching, schedules always seem to be extra full this time of year. 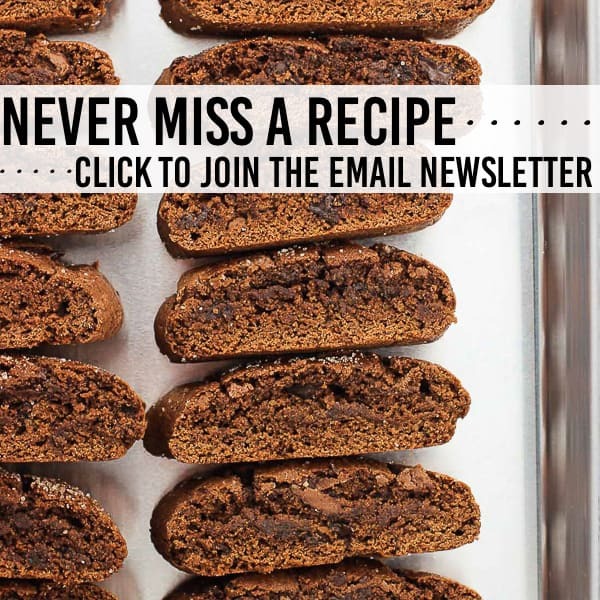 And what better way to help you bake something homemade for those last-minute gatherings or whip up a speedy host or hostess gift than homemade break and bake cookies. 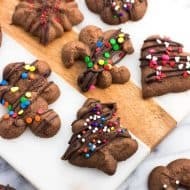 These have a more personal touch than the store-bought varieties and can be customized with your favorite chocolate chips, dried fruit, candy, etc. And did I mention they’re easy? I mean, the store-bought kinds are essentially just portioned-out and refrigerated cookie dough. Most definitely attainable at home! 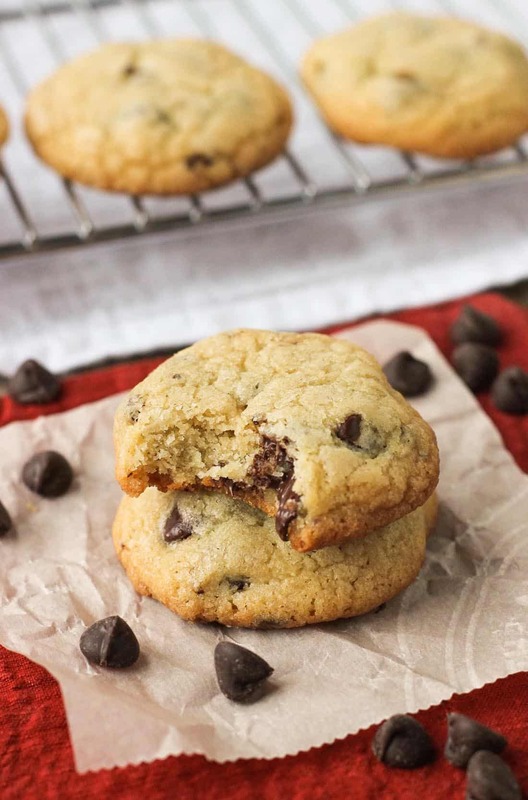 These cookies use our go-to household chocolate chip cookie recipe which we typically enjoy by baking directly after we whip up a batch. 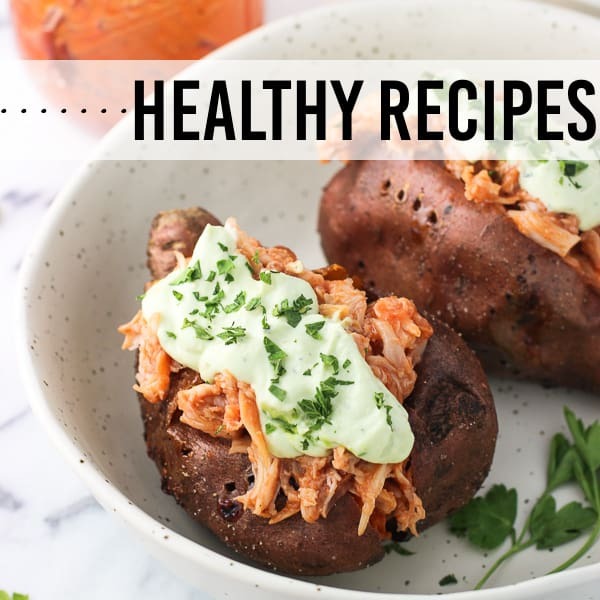 But after having that lightbulb “duh” moment of staring at the grocery store break and bake stock and realizing I could so make them at home, I started the grueling, strenuous task of whipping up a few test batches. Spoiler alert: they worked! The dough holds up wonderfully to easily form cookie dough balls, and results in round (!) cookies. Usually that’s a given with homemade cookies, but a vaguely squareish top imprint on a cookie tends to be a dead giveaway of store-bought break and bakes. Not gonna happen with these! To resemble the packaging of the store-bought break and bakes, I cut out a paper tray from a sturdy paper plate on which I placed the dough balls snuggly next to one another. This makes it easier to transfer the cookies into a plastic bag, at which point I closed the bag air-tight and stashed it in the fridge (or freezer). 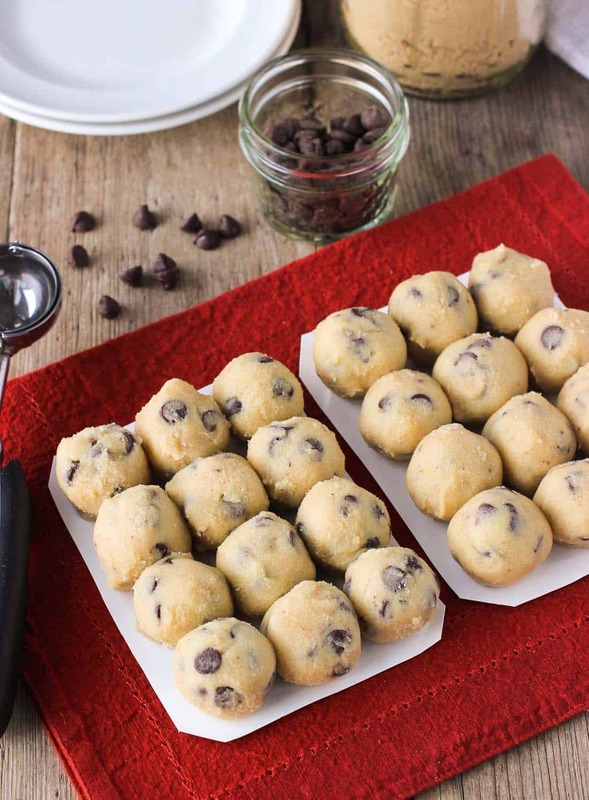 Even after being in the freezer for days (or weeks), you can immediately separate the cookie dough balls from each other, place on a baking sheet, and start baking straight-away in a preheated oven. There’s no need for thawing! In fact, the pictures of the baked cookies in this post were made directly from the freezer after being in there for about three weeks. 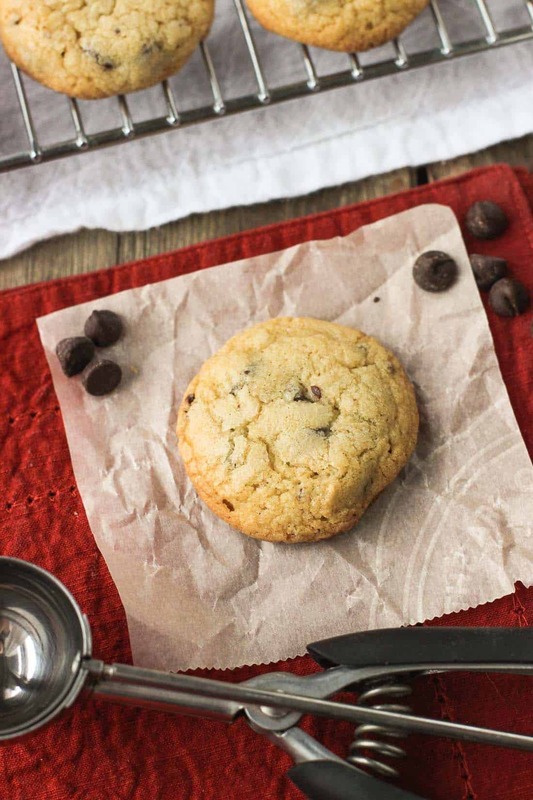 Depending on your oven, you’ll probably want to add a few minutes of bake time to cookies coming straight out of the freezer vs. cookies that have been refrigerated so keep a close eye! 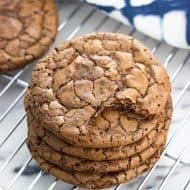 Each time I’ve made these break and bake cookies I’ve stuck with tried and true chocolate chips as my add ins, but I’m planning to stock my freezer with all kinds for the holidays. Dark chocolate chunks, peanut butter chips, dark chocolate chunks mixed WITH peanut butter chips…I’m thinking I need to clear out an entire shelf of the freezer for the impending stash. At the risk of spoiling the surprise for my friends and family this upcoming holiday season, I have to share that I’m SO excited to give these homemade break and bake cookies as gifts. 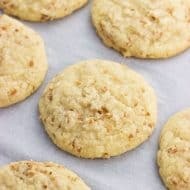 After placing the tray of cookie dough balls into a plastic bag, removing the air, and sealing it, simply add a homemade label or strips of washi tape saying what kind of cookies they are, the oven temperature, and range of baking time (with a note saying a few extra minutes if baking directly from the freezer). In a large bowl, beat together butter, sugars, egg, and vanilla extract on medium-high speed until light and fluffy. Add flour and baking powder and mix until just blended. Stir in chocolate chips. Form round dough balls (I used a 1 1/2 tbsp cookie scoop). 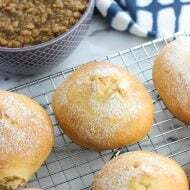 Place twelve dough balls with their sides pressed together on a paper plate or whatever type of tray you prefer. Repeat with the remaining dough (in total there should be about twenty-four cookies). Once the dough balls are complete, trim the excess paper plate from all sides of the trays. Place the trays of cookie dough into a plastic bag, removing the excess air from the bag and sealing air-tight. You can store the cookie dough in the refrigerator or freezer. Preheat oven to 325 degrees F. Place cookie dough balls about two inches apart on ungreased baking sheets. 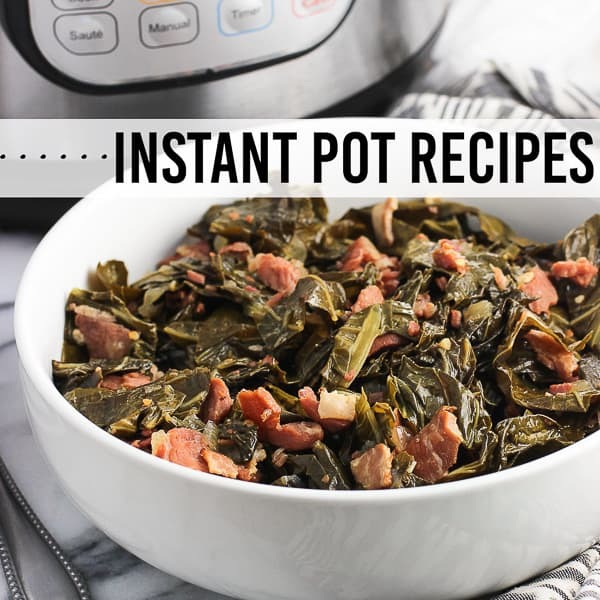 Bake for 12-15 minutes from the refrigerator, or for a few minutes extra from the freezer. I typically keep the dough in the refrigerator if I'll be using it within 3-4 days, and freeze it if I know I won't be using it in that time frame. I love this! Having cookies frozen to bake on a whim is awesome, and these baked up so thick and delicious! I definitely need to do this ASAP! Making homemade ready to bake freezer cookie dough has been on my list for a while now! 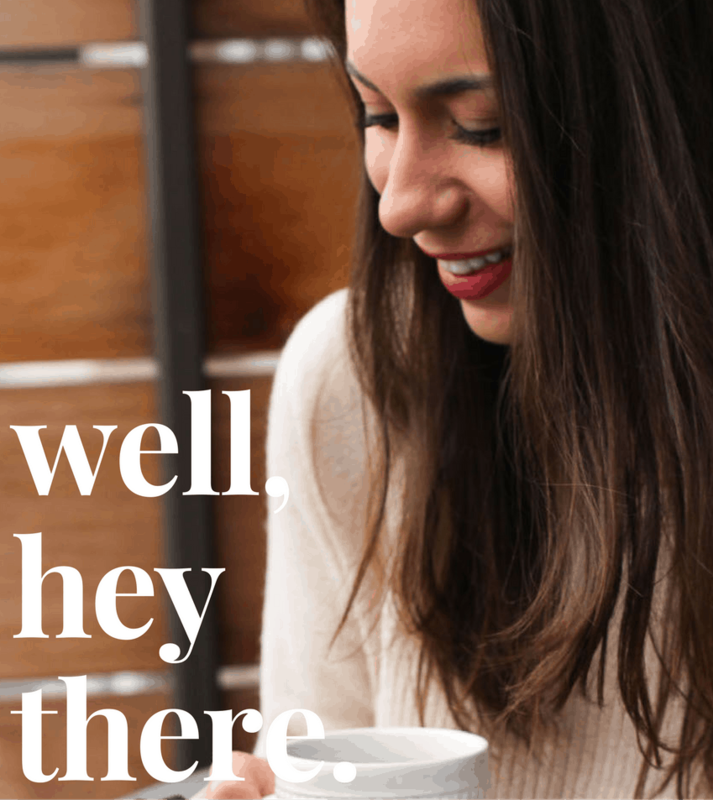 Such a great gift idea – we need to do that this year! I’ve had the thought kicking around my head for awhile now but procrastinated for whatever reason haha Thanks Stacey! I always freeze extra cookie dough in balls but this lady is genius!! I love it! And how fun would this be to give out as gifts! This is such a cute idea! I bet they taste a MILLION times better than the ones you buy in the store. Oh man! These are awesome! I have zero self control and would probably eat all the cookie dough before I baked them. Hahaha! Hahaha! Thanks Annie. I’ve been pulling out one or two cookies at a time…each day haha! Such a fantastic idea!!! I am so cookie crazy this year!! I can’t wait to do all the baking for the holidays! I am so with you Rebecca!! I just love the holidays. What a great idea Alyssa! It will be great to get a head start on holiday baking! Thank you! I’m on a quest to make my life as efficient as possible. These cookies help!